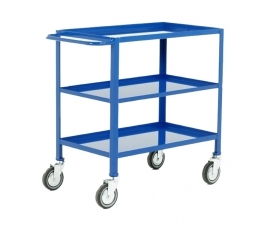 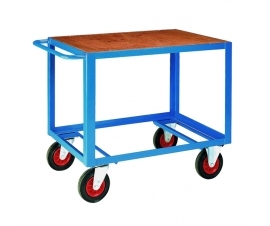 Table Trolleys and table trucks are industrial strength wheeled tables made with either timber or steel workspace platforms. 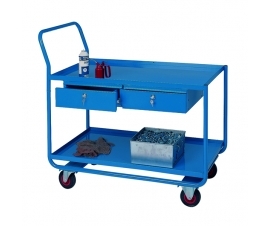 They are ideal for the workplace as portable and efficient workstations. 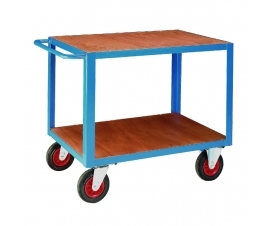 Available in variety of models and sizes. 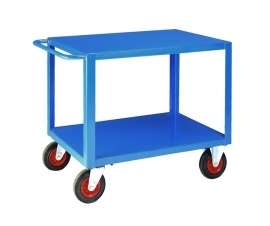 Trolley Tables (Table Trucks) are simply heavy duty wheeled tables commonly found in workplaces such as warehouses, stores and factories. 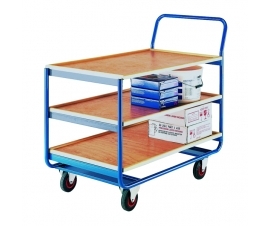 Here you will find a large range of table trucks and trolleys available with either steel or timber platforms to suit your needs or budget. 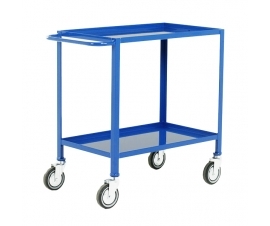 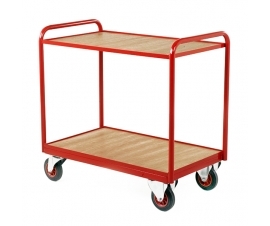 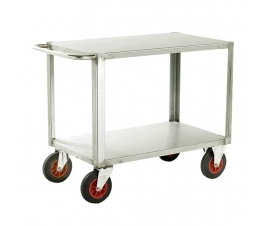 Table trolleys are available in a large range of sizes and variants and if you require any special modifications please contact us. 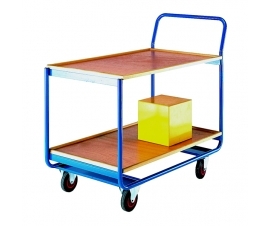 Table trucks are practical, strong, easy to transport and can be an essential part of processes within the work place, for example assembly processes, production, quality checking or they can be simply used as a mobile workstations within a factory. 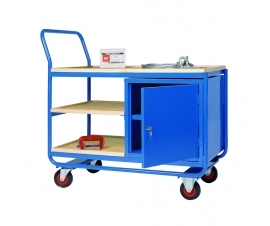 Some table trucks are available with cupboards and multiple under shelves for more a more efficient and suited applications.